Avondale May Ham Fest is a one day feast for the senses. 12 bands, fabulous artists and vendors, pre-1971 car show, two 35mm movies...and did we mention HAM! Do you have that one-of-a-kind Ham dish that everyone loves? Have you always wanted to compete in an ole-fashioned state fair competition? Each contestant brings their favorite ham themed dish to be judged by our panel of local celebrity chefs and ham experts. The only rule: must contain ham. Disposable dishes are preferred and bring as much or as little as you like. Ham it up! Set up is at 11, Judging at 11:30, and public tasting starts at noon. 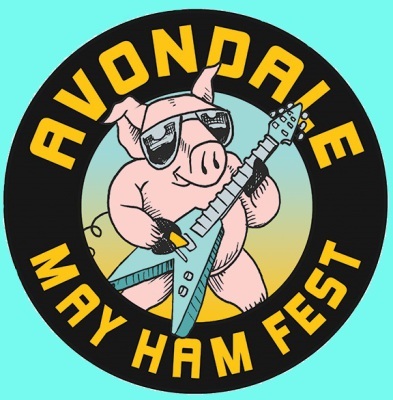 Stick around afterwards for the wild fun of Avondale May Ham Fest! Sign up is only $10 and includes a limited edition "May Ham Blue Ribbon" t-shirt. Grand Prize is a Giant box of Pine Street Market Meats with extra goodies from My Parents' Basement!